The de Havilland Mosquito was one of the most versatile aircraft of the war. de Havilland's own aero engines powered their highly successful Moth family of aircraft. Initially, de Havilland focused on biplanes powered by their own Gipsy engines. These included the Gipsy and Tiger Moths. These aircraft set many aviation records, many piloted by de Havilland himself. An exceptionally streamlined design… made of balsa wood between two layers of cedar plywood. The fuselage was made in left and right halves… shaped in concrete rigs and then joined. Continued from above… a fighter; an unarmed bomber, a reconnaissance aircraft and its different versions included the Sea Mosquito, the first British twin-engine aircraft to land on an aircraft carrier. 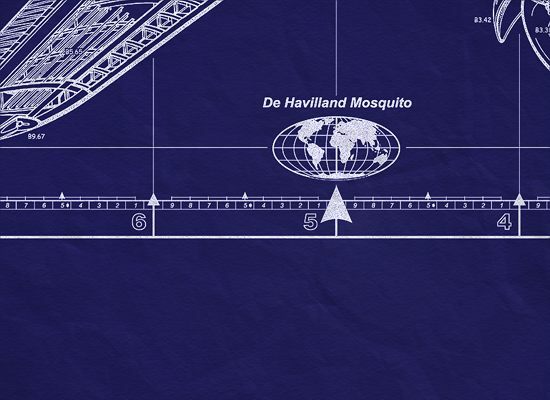 'The Wooden Wonder', as the Mosquito is affectionately known, almost never came to be. Air Ministry opposition to de Havilland's original proposal for an unarmed, all-wooden bomber almost forced de Havilland to abandon the design, but thanks to some behind-the-scenes lobbying, the Air Ministry reluctantly agreed to progress with the design. Mosquitoes' were widely used by the RAF Pathfinder Force to mark targets for night-time strategic bombing, and Mosquito bombers hauled 4,000 lb (1,800 kg) "block-buster" bomb in their internal bomb bay to Berlin at a comparatively fractional cost when compared to the contemporary B-17 or Lancaster running costs and operational-losses. The Mosquito ended the war with the lowest loss rate of any aircraft in RAF Bomber Command service during WWII. 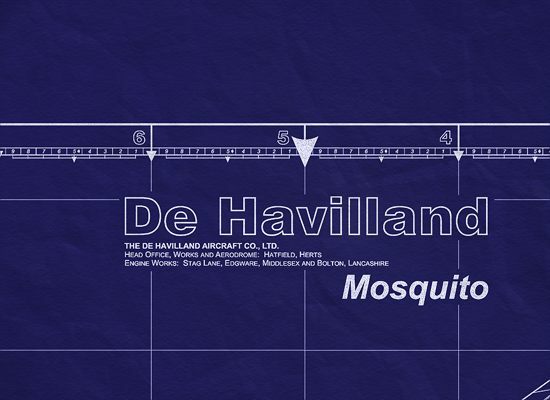 In November 1940, Geoffrey de Havilland took the prototype Mosquito into the air for the first time. The performance of the aircraft was something of a revelation, the two Merlin engines giving fighter-like handling and a top speed which would allow the aircraft to outpace enemy fighters. The first bomber version flew in the following September and the first deliveries to No 105 Squadron at Swanton Morley followed in November 1941. Following its operational debut in a raid by four aircraft on Cologne on 31 May 1942, the Mosquito joined the Main Force but became famous for a number of set-piece attacks, and the first of these was a low-level attack on the Gestapo Headquarters in Oslo on 25 September 1942. Built largely of plywood, the Mosquito was one of the most versatile aircraft of World War II. During its career, it was modified for use as a bomber, night fighter, reconnaissance plane, and fighter bomber. The Mosquito's unique wood construction allowed parts to be made in furniture factories across Britain and Canada. To construct the fuselage, 3/8" sheets of Ecuadorean balsawood sandwiched between sheets of Canadian birch was formed inside large concrete molds. Each mold held half of the fuselage and once dry, the control lines and wires were installed and the two halves were glued and screwed together. 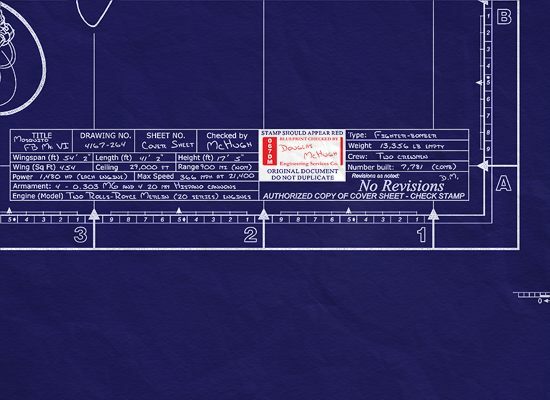 To complete the process, the fuselage was covered in a doped Madapolam (woven cotton) finish. Construction of the wings followed a similar process. A minimal amount of metal was used to reduce weight. a height which made interception in the rarefied atmosphere unlikely. The PR versions were the Mks I, IX, XVI and XXXIV. The Night-Fighter aircraft (NF Mk II, XII with AI radar, XIX and XV) also proved first-class and each Mark improved performance and detection capability. The Fighter Bomber Mk VI with its solid nose entered service in 1943 and was also flown as a shipping strike aircraft armed with eight rocket projectiles. It had four 20-mm cannon and four .303-in (7.7-mm) machine-guns, plus a 2,000 lb bomb load. Some even carried a 57-mm (2.2-in) cannon. A trainer Mk TIII also existed. Among the successes of the Mosquito squadrons were the low-level pin-point raids on Oslo, on Berlin in daylight, on the Gestapo HQ in Copenhagen and on Amiens gaol when French Resistance prisoners were freed. Mosquito's also attacked VI sites in France and flew ground-attack and intruder missions. 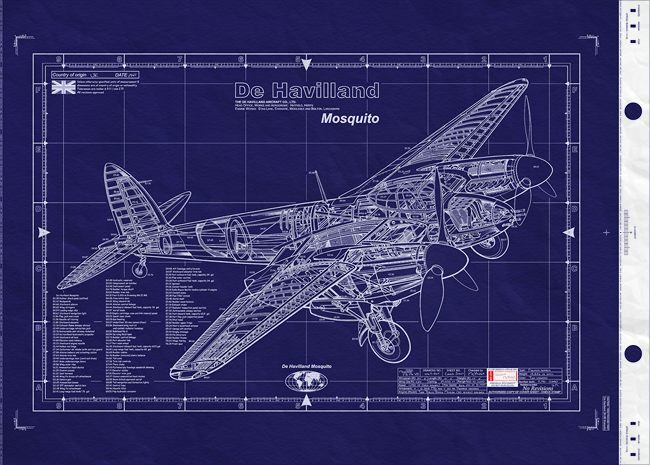 A total of 6,710 were produced by Airspeed, Percival and Standard Motors as well as de Havillands, and Canada and Australia also built the Mosquito.